The world of baking is not my forte, however I can prepare several easy desserts that I think we should all know how to do. And the orange biscuit is just one of these. It is an easy and very quick recipe to make, that practically anyone, even without experience, could prepare at home. You only need very basic ingredients, and approximately 1 hour of your time. 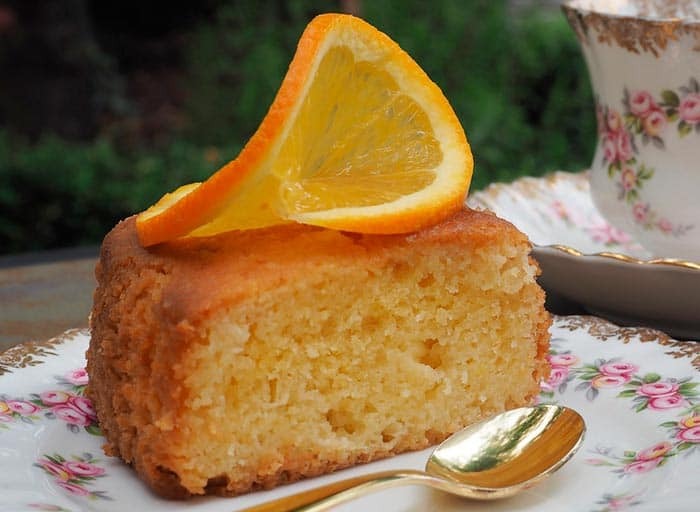 For this orange sponge recipe, you need juice and orange zest. Try to have a fresh and juicy fruit. At the time of squeezing pass it through a strainer. Some people put a splash of liquor, is a good idea. If you want to use it, go ahead. Mix butter and sugar in a bowl using preferably an electric mixer. Now pour the wheat flour little by little and the teaspoon of baking powder. By now you will have a basic cake mix. Add the orange juice and the zest. Mix a couple of minutes more and you're done. Grease and flour a cake mold, round, square, whichever you want, but where the mixture fits well, taking into account that it will grow. Put the mixture in the mold and bake for about 35-40 minutes. As many times ovens do what they want and cook at different temperatures than indicated, you should be careful and check if your orange cake is ready a few minutes before the time I indicated. To verify this, simply insert a long wooden stick, or even a knife, into the center of the cake. If when removing the stick it does not have any trace of dough on its surface, then your cake is ready. Turn off the oven and remove the cake. Let it stand at room temperature. When it cools, carefully remove it from the mold. Ready! Enjoy a delicious orange cake! Want more delicious and easy dessert recipes? Try making these chocolate chip cookies.